Everyone is talking about Facebook IPO. I will talk more about the Facebook IPO in a new post. Right now I want to focus my energy to find a way to buy a Facebook stock. I won’t make a fortune with this strategy but it is a fun thing to do. Unless you have the best connection you are just like me without a facebook stock. 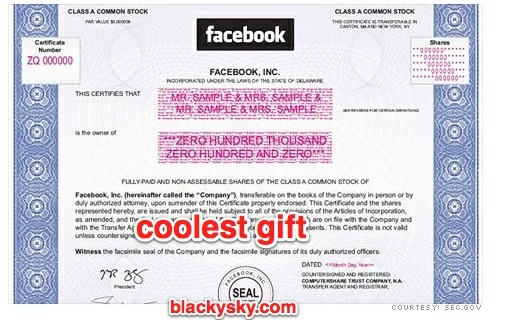 Right now the best way to buy a Facebook stock as a normal human being is to go on a stock gift certificate. I know it won’t change you life in a near future but it might be a cool thing to have. I have two services to show you. That’s my way to get more than one facebook stock. You can choose one of those links below. I am going to put those links behind an ad and a tracking services.